Jenkins Pure Shellac Varnish S007 - Industrial Plasters Ltd. 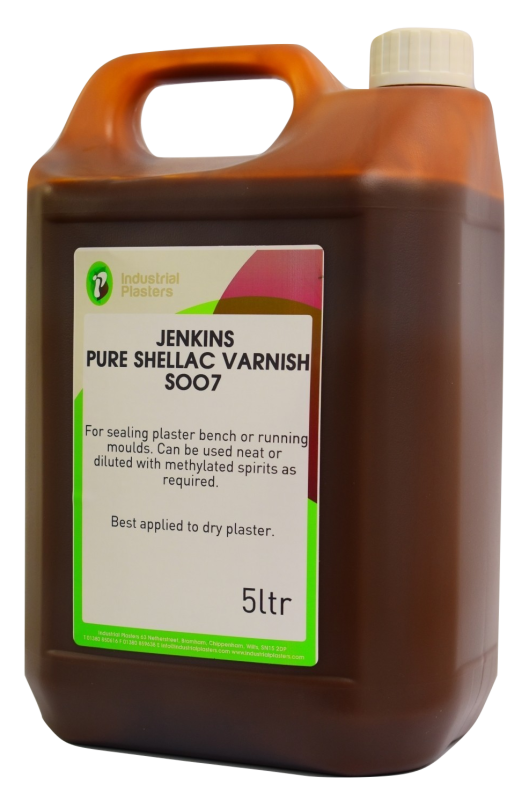 Pure Shellac Varnish is primarily used to seal plaster bench or running moulds. It’s manufactured by the well-known WS Jenkins who are known for making high quality Shellac Sealer. This shellac can be used neat or is concentrated enough to be diluted with methylated spirits if required. We recommend it is applied to dry plaster, rather than damp. Please note: Please ensure Shellac does not come in direct contact with silicone or fibreglass when mould making - it'll stick very well! !